Social Security establishes Compassionate Allowance conditions using information received at public outreach hearings, from the Social Security and Disability Determination Services communities, from medical and scientific experts, and from data based on our research. Visit our Compassionate Allowances website for more information, including the list of eligible conditions. Some illnesses are more disabling than others and Social Security tries to treat everyone with equal compassion relative to their condition. If you think you qualify for disability benefits based on a Compassionate Allowances condition, please visit our website to apply for benefits. This entry was posted in Disability and tagged cancer, cancer awareness, cancer survivors, compassionate allowances, Disability, disability benefits, fighting cancer, National Cancer Survivors Day, social security disability benefits, ssdi by Jim Borland, Acting Deputy Commissioner for Communications. Bookmark the permalink. Two years ago my wife and I received the shocking news that our eldest son had been diagnosed with a particularly aggressive form of lymphoma. Due to the nature of his cancer he qualified for a compassionate allowance and his case was approved within 30 days. Today he is in remission and hoping to return to work within the next 12 months. Thank you to Social Security for being there for our son when he needed it. I know God is a answer for all different illnesses i believe on them and i count on him. I have published a book about my battle with prostate cancer. prostate cancer cannot be prevented. however, nobody has to die from prostate cancer. you can find out about my book. Any questions, I am available to address them. Is there any help for an individual with leukemia, but makes 200 more than what Medicaid qualifies; therefore no treatment or transportation since then. Any advise would be greatly appreciated. Medicaid has a spend-down program. Apply for that. Once he’s spent $200.00 on his condition Medicaid will pick up the rest. How is it that the Social Security can support all the other folks with our SS money, and then say it will be broke by another 20 to 30 years. All of us baby boomers who worked and paid into social security all these years. Are now being told that when that time comes that their social security would be dropped down by as much of 25 to 30 percent. Something is wrong with this picture, and the whole system if this is true at all. Nice complaint. Do you have cancer? Perhaps a compassionate illness. If not, quit your bitching. I am fighting cancer right now. I am not on chemo anymore I am on a probiotics every other week. 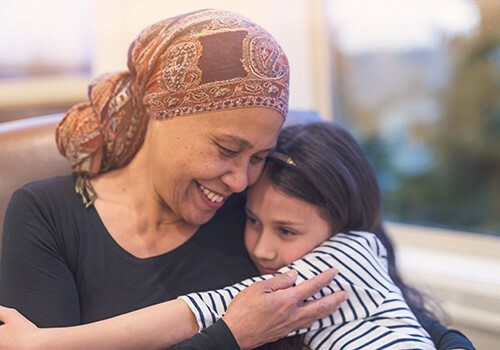 The compassionate allowance is a wonderful feature It is bad enough when someone gets cancer and even worse when they lose their home on top of battling illness. I personally know several people who have received an expedited determination and they were able to get treatments and avoid eviction! How do I apply and where do I go? I’m already on Disability just so you know. I’ve been fighting this cancer for four years. I went into remission for 14 months. However, my Mom died followed my 14 yr old Schnauzer a month later, then my 16 yr old Chihuahua the month after that. I think the stress was a big reason the cancer came back. Anyway, I can’t afford to go to my doctors or fill many of my prescriptions. I’m about $277 over the max allowed. I would super welcome anyone’s suggestions. Thank you, and God bless you. Do you have any assistance for those of us already receiving Disibility Social Security? Check with your county public assistance office. Disallowing my wife for Disability is the MOST OUTRAGEOUS ABUSE of her rights imaginable.She has been working w/children and her breast cancer chemo-therapy makes ANY exposure to children (including our grandchildren) IMPOSSIBLE ! You TURN MY STOMACH ! Sorry to hear of her condition. It is usually survivable and not contagious so she can be around others. It isn’t her being contagious. A lot of chemo medications cause suppression of the immune system. Kids are germ factories. Not to mention how tired and sick it makes a lot of people (I know everyone doesn’t get bad side effects from it, but most I know of have.) I’m not trying to be a smartass or anything so hopefully you don’t take it that way. Just hits close to home. I wish they had this when my dad was going through chemo and hospice. My mom and I could have used a lot more help than what their ins paid for at the time…a guy would come out once (maybe twice?) a week and sponge bath him, change his clothes, and that was it. She had the brunt of it (I know that sounds bad, but I mean was home more than me.) I literally just came off of FMLA when he went on hospice so during the day she would work from home, but he needed so much she didn’t do much. If we could have had someone come a couple nights a week, that would have helped tremendously. At the same time, I would NEVER give up that last month having him at home instead of at a hospice center. So, anyone who thinks certain people don’t “deserve” to be on it (mind you, my dad worked up until the day he couldn’t drive anymore), and was 64, do you consider that do be spending your money? Check at the US Embassy if you are a citizen, otherwise, you’re out of luck. This is one of the best news I ever heard. Personally I don’t have medical issues, but many people do. It is a big step just to recognize the need to support the persons diagnosed with cancer or any other serious conditions. Thanks to all the persons that identified the problem and came up with a compassionate solution. God bless you all. I was denied three or more times, while going through chemotherapy and radiation, and had a bulb on my left upper side for drainage from lymph nodes removed. They wouldn’t help me so I went back to work part-time while trying to heal. I appreciate the information you provide. Information you might not have access to. I am so grateful for people who have compassion for others. I know people who have died for lack of treatment. It is good to know some people have a heart. It is a good thing that S.S.A. supports people people battling cancer. It is most welcome and good for the society. Commonly Smoking is the development for Cancer case around the world . Normally doctors don’t adopt the the Reason personally why i don” t refer to the opposition in the conversation . For 34 years I have grown to complete Young Female after plan crash and Doctors actually subscribe tobacco for medicine assistant agent of grow . Currently I have no cancer and had an stimulant put made out tobacco. Conversation post comment in display is the requiring another inquiry about my case January 2012. the reconstruction of the heart and have natural stimulant as planted source of growth ,but not of cancer in condition stress or mental out look . Question is time to rest on the opinion in that appeal with no corresponding in detail as i progress in Madical with personal doctor at New York Middletown Crystal Run . Just a quest for some insight here. Can one apply for this if they are receiving their social security already? My mom is 72 yrs old, worked all her life, was recently hospitalized for pneumonia and 2 days later was diagnosed with stage 4 metastatic breast cancer that has spread. She does not have Medicare part D coverage and cannot enroll in it until October. One of the medications they want to start her on is 13000.00 yes ….13 THOUSAND dollars for 21 pills. How can people afford that? They tried to qualify her for financial help through Medicaid and she doesn’t qualify. She’s most definitely disabled as the cancer is in her bones and lymph nodes as well. So just curious if this can be applied for by people who already recieve social security benefits. Hi Shanna, please see “Get help paying costs” or visit http://www.medicare.gov for general information about the Medicare program. Thanks. Very confusing but again looks like again….there is no help for her. Criminals and people who have never worked a day in their life in the end get more help than people who have worked hard all their lives. Such a shame. This is what we are teaching our youth, the less you work, the more kids you have, the more our government will help you! Free groceries, free medical, free dental, free vision, free money….FREE all of it FREE! This is a long over due benifit form SSDI, I Had my father suffer from cancer just a few years before retirement age, received no help, and I watched my sister under go treatment for breast cancer, just at her retirement age, she however by the crave of God was a survivor, and Diego on to enjoy a few good years of retirement. I realize SS is on a limited, though long needed , budget so I applause those who figured out how the system could afford this out put for those in great need. It has restored, to some extent my faith that in the burucity of government operated systems. Some 30 years to late for my family, but glad it will keep some other families from suffering the financial destruction my family experienced. “Soc Sec supports cancer victims ” I would like to speak with someone about what befits are available . Great responsibility are doing by Social Security. Also hope that disability people will be much more beneficial on Healthy Food Choices. Except that if someone’s awarded SSDI benefits rapidly through being determined to have a compassionate allowance condition, that person STILL ISN’T entitled to Medicare coverage. The rule is: you have to be entitld to receive SSDI benefits for 24 months to become entitled to Medicare coverage. There’s a 5 month waiting period after a person is found disabled, so no cash benefits for the first 5 months after the date of onset of disability. So that means someone WITH cancer will be without Medicare coverage despite being disabled for 29 months. Only exception to that rule that I’m aware of is renal failure, Medicare coverage starts immediately once someone meets with that criteria. People disabled by a “compassionate condition” should be entitled to Medicare coverage as of the date they’re determined to meet the criteria for one of those 200 compassionate allowance conditions. Social Security is system originally set up to aide life long wage earners with their retirement by providing monetary benefits. This original benefit has been bastardized by politicians to buy votes from weak minded retirees by adding disability, medical benefits, and other superfluous bribes that should be covered by Medicare and other private insurance. That is why SS is now bankrupt, just like the US Federal government. Good job politicians! My name was Carolyn Bland, at the time, I received my disability. I was married in 2012 so my name is now Carolyn Bland-McDonald. At that time I was receiving Medicare (Disability) and Medicaid starting in December 2004. When I turned 65, however, my disability was dropped and I was just Medicare. Also, my Medicaid was dropped. However, my disability did not just go away because I turned 65 so why was my disability and Medicaid dropped. I have tried to have Medicaid reinstated, but because I got married I am told that I am no longer eligible. Both my husband and I live strictly on Social Security and it is barely enough to get by. On May 3, 2017, I was diagnosed with Parkinson’s Disease. So I now have the original disability, Severe Chronic Depression, plus PD along with it’s many symptoms and medicine side effects. One of the symptoms of PD is depression which is just added to my Severe Depression that I already have. This is just one, of the many, of the major symptoms of Parkinson’s Disease. All of this is said to let you know how wrong it is to have dropped my disability and now, when I still really need it. My medication just keeps increasing and I can not get the newer and better medicines, for my depression, because it is to expensive for me. Therefore, I am forced to stay on the older antidepressants which don’t really help me all that much. Can I be helped, in some way, by Social Security. I have never reported my Parkinson’s Disease and have not tried for Disability again. Could that be a possibility? Hello Carolyn, if a person has reached his or her full retirement age and is receiving Social Security retirement, they will not be eligible for disability benefits. Please go to http://www.Medicare.gov to get information on how you may get help paying Medicare services. Thanks! My 85 year old mother died June 25,, 2018. How long do I have to stop her checks? She had some automatic withdrawals coming out of her check by the bank for bills she had setup for several years ago. What do I need to have to stop her checks. We are sorry for your loss, Patsy. You must notify Social Security as soon as possible when someone getting benefits dies. Also, if you notify the bank, they will return payments to Social Security. In most cases, the funeral director will report the person’s death to Social Security. You can provide the funeral director with your mother’s Social Security number so he or she can report the death. See How Social Security Can Help You When A Family Member Dies for more information. If you need further assistance, please call our toll free number at 1-800-772-1213. Representatives are available Monday through Friday, between 7 a.m. and 7 p.m. Generally you will have a shorter wait time if you call later during the day or later in the week. Thanks. I am confused by the various types of benefits. At age 59, I was diagnosed with stage 3 and a half breast cancer (spread thru lymph nodes). I applied for disability and was awarded RSDI. My benefits are paid on the 3rd Wednesday of each month. I will forever have to pay late fees and never have enough because of getting my benefits so late in the month. It is common for most bills, especially rent to be due on the 1st of the month. I know several people who get disability benefits who have never worked a day in their lives, several whose “disability” is alcoholism. Guess when they get their benefits – on the 1st of 3rd of the month. In addition, they got back pay from the date of application to the date benefits began. My award letter expressly noted that I would not be awarded back pay. When I reach age 65 next year, will my benefits change from disability to retirement? And will my benefits date change from the 3rd Wednesday to the 1st or 3rd of the month? I’m so confused. What happens to a person who is on Social Security Disability Insurance (SSDI) when they reach their retirement age? Does their SSDI just continue? if a claimant is found disabled under a compassionate allowance, do they still have to wait the 2 years after the onset date to be eligible for Medicare? How to apply for compassionate allowances so I dont loose my place to live our my car while I’m receiving cancer treatments? Hello Cynthia. Compassionate Allowances are a way to quickly identify diseases and other medical conditions that, by definition, meet Social Security’s standards for disability benefits. These conditions primarily include certain cancers, adult brain disorders, and a number of rare disorders that affect children. The CAL initiative helps us reduce waiting time to reach a disability determination for individuals with the most serious disabilities. Medical conditions that meet the criteria for Compassionate Allowances are expedited. Read more at “Compassionate Allowances“. Thanks! There is many people who are disable for doing many thing toilet is one work. For that kind people some toilet seat are available . This toilet seat make their bathroom very easy specially for disable people. Are Social Security disability benefits awarded for your lifetime? I don’t understand why someone who is diagnosed as cured and given an “all clear” to return to work continues to collect benefits. Recently a friend who has been collecting and working received a letter from the SSA telling him he was eligible for Medicaid since he’s been disabled since 2013. I am currently on Social Security and might need cancer treatments. Am I covered and how much? Hi Gwen, thanks for using our blog. If you are currently on Medicare, you will need to check with them regarding what is and isn’t covered. You can get details at Medicare.gov or by calling 1-800-MEDICARE (1-800-633-4227) (TTY 1-877-486-2048). My husband is a 37 years worked retired steelworker who was diagnosed with stage 4 non survivable breast cancer which metastasized to his brain. Someone told me about the “Moms meals” program and with his Dementia I was wondering if he would be eligible? Hi, Nancy. We are very sorry to hear about your husband’s condition. Social Security does not administer this program. However, you may be eligible to receive social services from the state in which you live. These services include free meals, housekeeping help, transportation, or help with other problems. To get information about services in your area and find out if you qualify, you will need to contact your state or local social services or welfare office. We hope this helps! I had a SSDI Hearing on the 21st of March. I was approved the day of my hearing, which I am told is a rare happening. How long should it take for me to receive a phone call, approval statement on mysocialsecurity.com, or a letter in the mail? Thank you sincerely for your time.